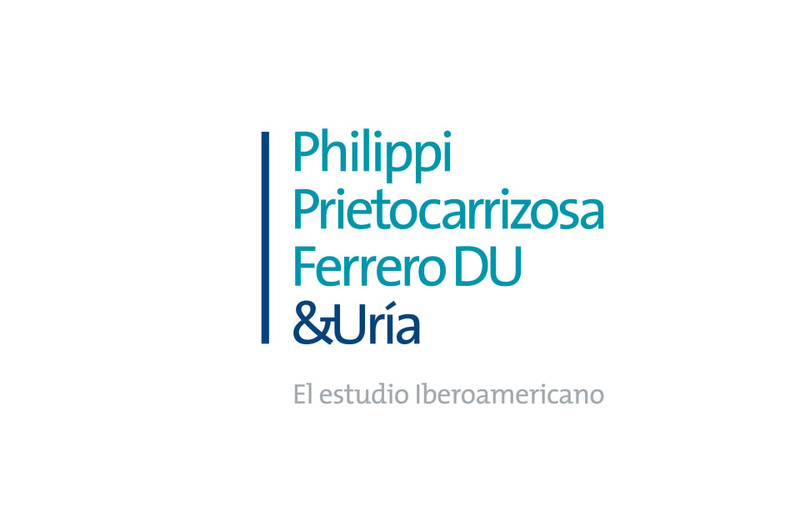 Philippi Prietocarrizosa Ferrero DU & Uría (PPU) is the first major Ibero-American law firm. The firm was born from a merger between the Chilean Philippi, Yrarrázaval, Pulido & Brunner, Colombian Prietocarrizosa, and the two Peruvian firms Ferrero Abogados and Delmar Ugarte. The prestigious Spanish and Portuguese firm Uría Menéndez has been part of the new firm since its inception in 2015. With offices in Santiago (Chile), Bogota and Barranquilla (Colombia) and Lima (Peru) PPU has lawyers in 13 practice areas. Additionally, Uría Menéndez brings its network of offices in Spain, Portugal, Sao Paulo, New York, Beijing, London and Brussels to the partnership. Banking, finance and capital markets: Advises banks on syndicated financing, asset financing and project financing, and the development of innovative financial structures and products, represents underwriters and issuers in the placement of bond and securities in Peru and abroad. Competition: All aspects of antitrust, including investigations by authorities, litigation concerning cartels and abuse of dominance, consultations on M&A operations, settlements, audits on level of compliance and legal reports. Corporate and M&A: All aspects of corporate law, including business integrations, tax matters, structuring and implementing public tender offers and the acquisition and sale of listed companies, restructurings, national and cross-border mergers and acquisitions, spinoffs and business reorganisation proceedings. Energy, mining and natural resources: The practice area of energy, mining, environment and natural resources is composed of highly specialist lawyers who provide comprehensive advice on legal matters for the development of projects in different areas such as mining, industrial, energy, corporate, infrastructure and real estate, among others. Infrastructure and projects: Advising companies involved in toll roads and ports and purchasers and sellers; participated as counsel in financing; and on the privatisation of public utilities and ports. Intellectual property and life sciences: All aspects of intellectual property, patents, trademarks, industrial designs, utility models, copyrights, sports and entertainment matters, litigation, unfair competition, pharmaceutical licensing and health registrations. Private clients and family: Long-term all-inclusive legal advice, in accordance with the highest international standards, for business families on the development of estate planning structures, allowing for the reallocation of assets among family members and the various generations. Telecommunications, media and technology: Advising multinational media and technology companies in all their regional legal matters, from software licences and TV formats to customs matters.